Joel Courtney may have only just made it to onto your radar thanks to Netflix’s The Kissing Booth, but it turns out he’s been in a bunch of stuff you’ve seen before - including a film with Riverdale’s Madelaine Petsch. 1. 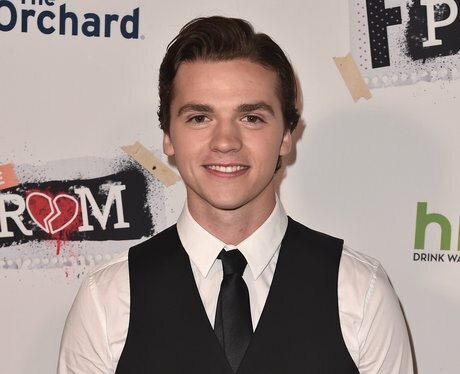 How old is Joel Courtney? Joel is 22 years old. He was born on January 31, 1996 which, in case you were wondering, makes him an Aquarius. Joel plays the role of Lee in the Netflix romcom. Lee is the best and oldest friend of Elle Evans and younger brother of Noah, Elle's eventual boyfriend. Joel was also in a Netflix movie called “F The Prom” with Madelaine Petsch. Joel plays a character called Cole who ends up getting dumped by his best friend, Maddy, who is now the most popular girl in school. Madelaine plays Marissa, Maddy’s new best friend and Queen Bee of the school. 4. Does Joel Courtney have Instagram? Yes - he does have an Instagram account! You can find him at @joel_courtney where he posts cute behind the scenes pictures with his 'Kissing Booth' co-stars and documents his travels. 5. Does Joel Courtney have a Twitter account? You can also find Joel on Twitter at, you guessed it, @joel_courtney. 6. Is Joel Courtney on Snapchat? If you're still using Snapchat, you can find Joel on there too! His username is joel_courtney. 7. How tall is Joel Courtney? While his 'Kissing Booth' co-star Jacob Elordi towers over him in the movie, Joel isn't actually that short in real life. Joel is 1.82m which is basically around 5ft 9in. Joel has been in a number of movies, most notably Super 8 opposite Elle Fanning, Sins Of Our Youth alongside Lucas Till and Dear Eleanor with Jessica Alba and Isabella Furhman. Joel’s first on screen role was in JJ Abrams’s Super 8 as Joe Lamb. He was an unknown actor, having only been in school plays. He auditioned for the role while visiting his brother, Caleb in LA and ended up landing the lead role. 12. Are Joel Courtney and Katherine McNamara friends? Joel also starred opposite Kat McNamara, from Shadowhunters and Maze Runner, in Tom Saywer and Huckleberry Finn. They met during their audition for the film and became close friends. 13. Joel has three older siblings including his brother Caleb Courtney, who is also an actor. Joel has three siblings. He has two older brothers, Caleb and Josh and one older sister, Chantelle.